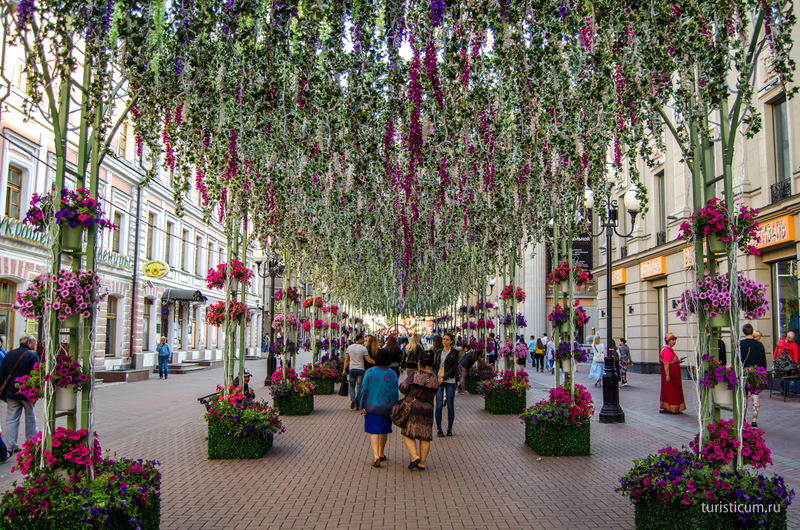 The Arbat is a unique phenomenon both for Moscow and for the whole Russia. It became a pedestrian street after its reconstruction in 1986. This street still attracts hundreds and thousands of tourists from all over the world. 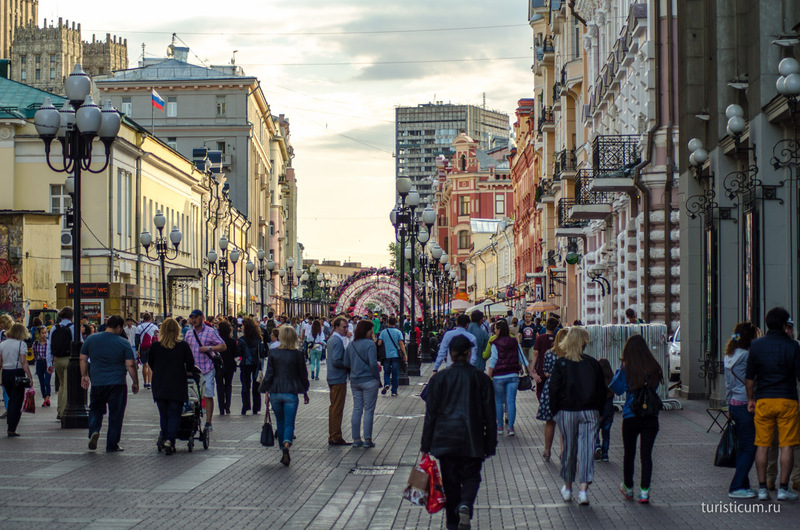 It is simply impossible to walk along the Arbat without meeting a foreigner. 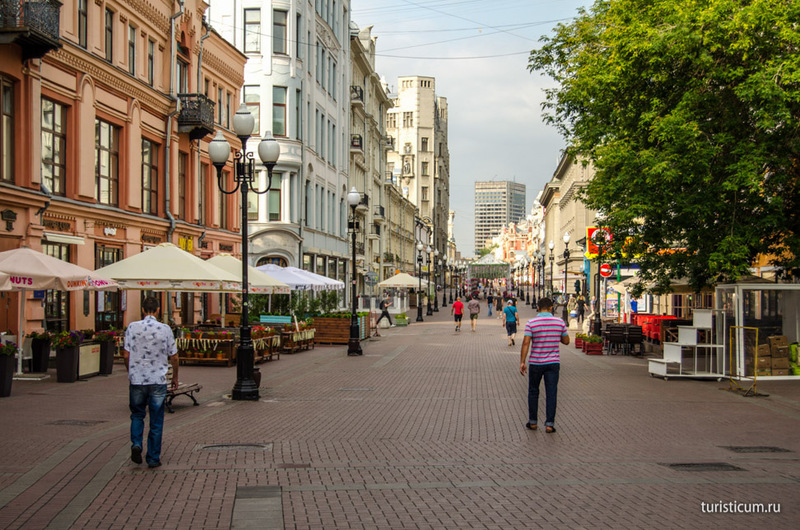 The Arbat is a synonym to all the pedestrian streets in Russian cities. It is not a very long street with the length of only 1.2 km (0.75 miles). 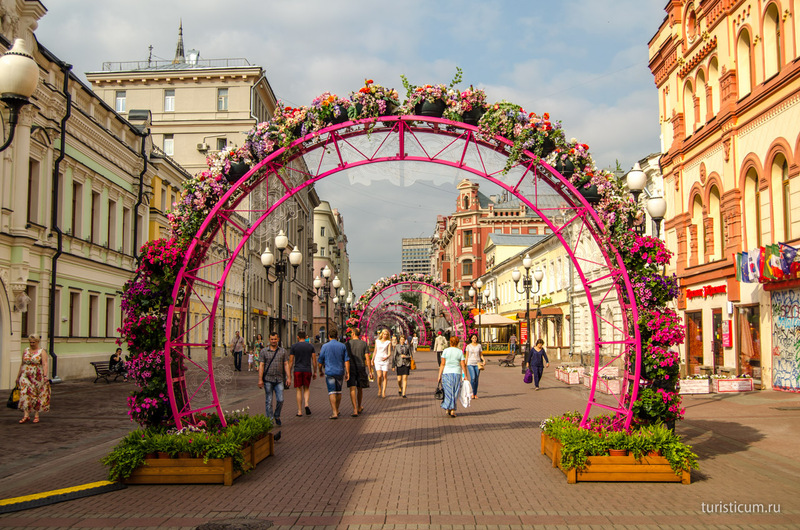 That is why it is better to combine a walk along the street with a visit to the Red Square or Alexander Garden. 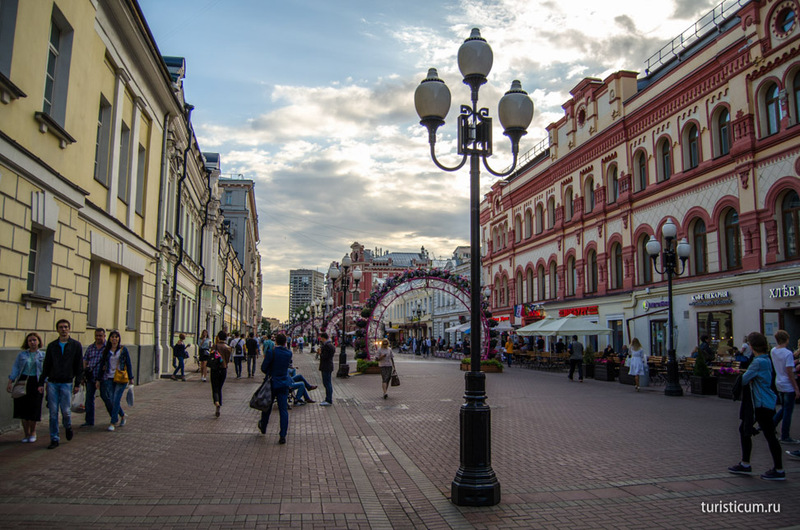 Although one can walk along the Arbat all day long. 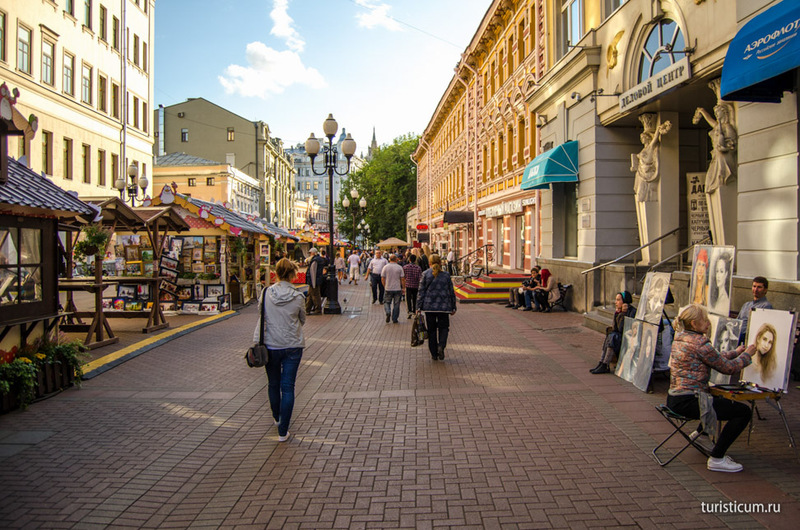 In the Arbat one can visit plenty of souvenir shops, have lunch or dinner in one of its restaurants, order a portrait from a street artist or stop and listen to street musicians. With such a program a day will go too quickly and may be will not be enough for the whole Arbat. As for the name of the street there are several versions none of which is 100 percent true. 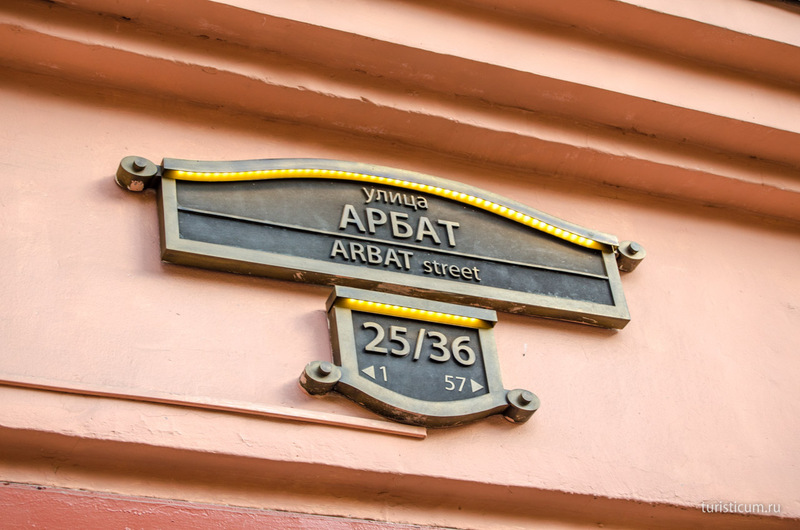 Anyway, the most popular one says that the name «arbat» was brought by eastern merchants. In their language the word «arbad» means suburb, outskirts. The street was not officially renamed to the Old Arbat though there is the New Arbat Street nearby since 1994. 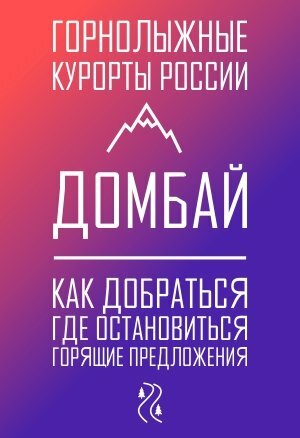 A part of Kalinina Prospect received this new name. 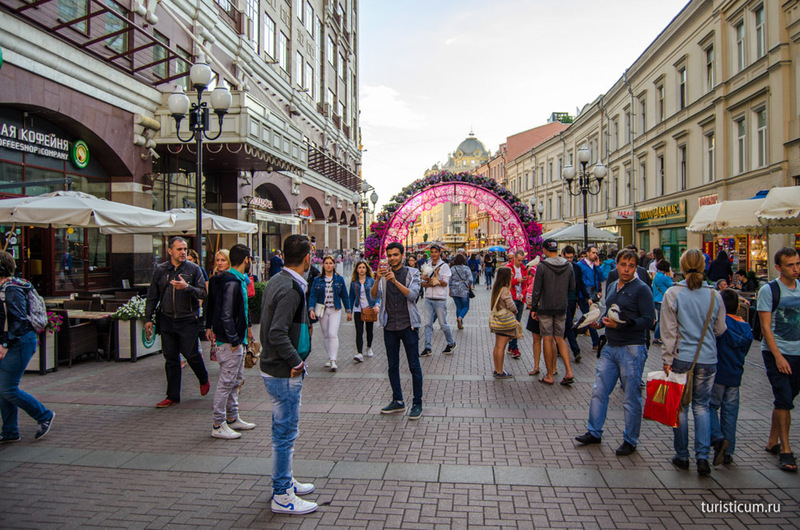 The New Arbat is not a pedestrian street that is why the Arbat still remains to be the center of attraction for tourists and has an unofficial name of the Old Arbat. The easiest and fastest way to start a walking tour along Moscow is by metro. 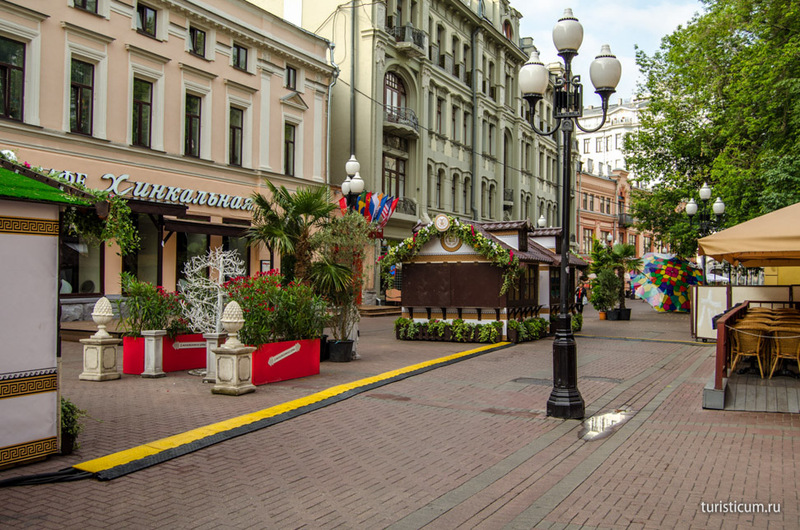 The Old Arbat lies between two metro stations. «Arbatskaya» metro station is in the beginning of the street and «Smolenskaya» metro station is in its end. 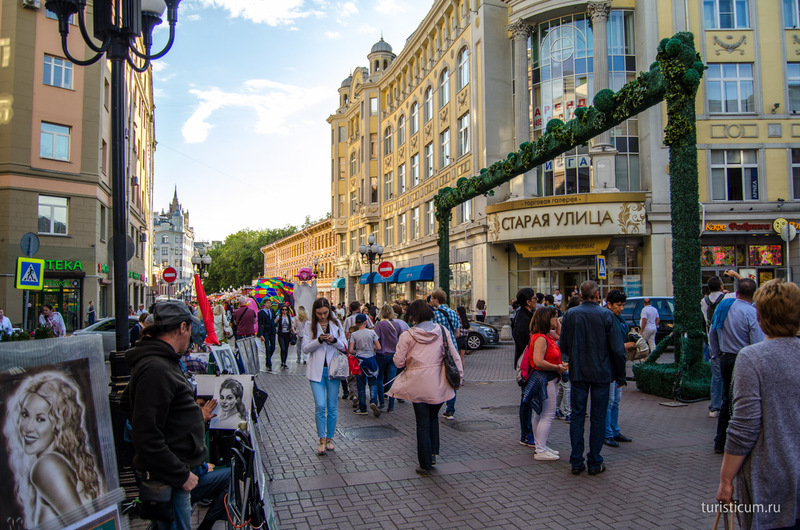 In case if you plan to combine a walk along the Arbat with a visit to the Red Square it would be wiser to see the street from its end to the beginning that is from «Smolenskaya» metro station to «Arbatskaya» one. 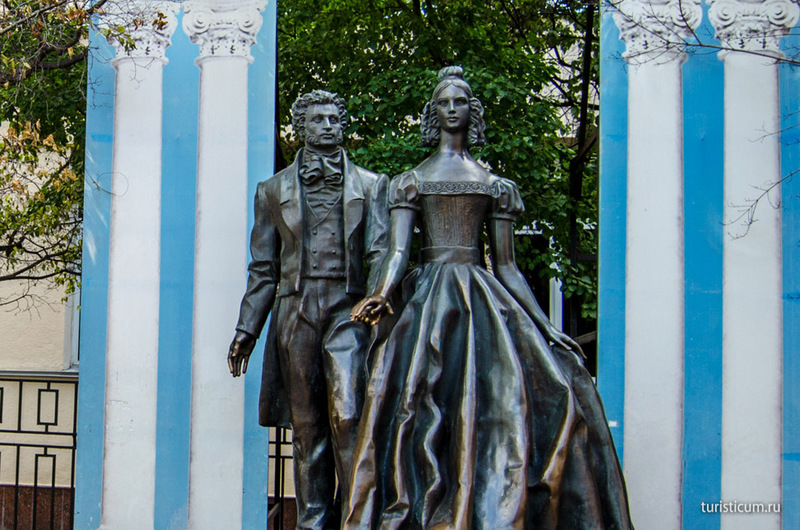 It is easy to walk three quarters along Vozdvizhenka Street from «Arbatskaya» metro station and you will find yourself in Alexander Garden by the walls of the Moscow Kremlin. 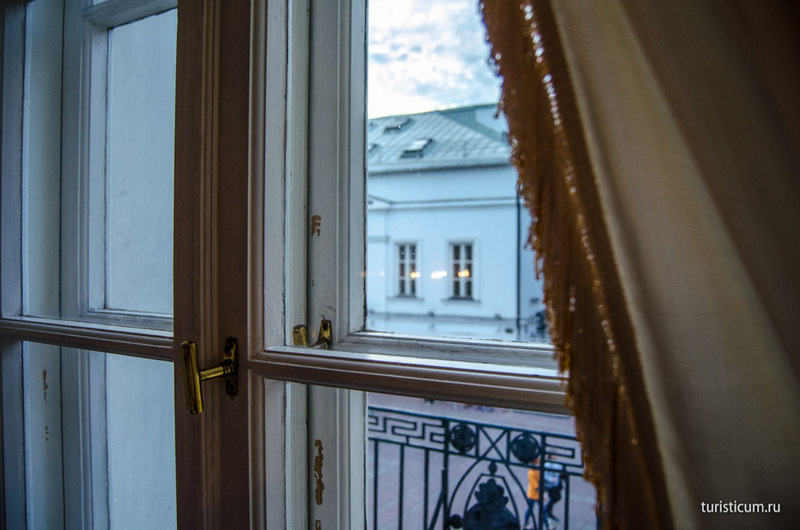 The Arbat has incorporated all the flair of the USSR, the reformation period and the modern Russia. 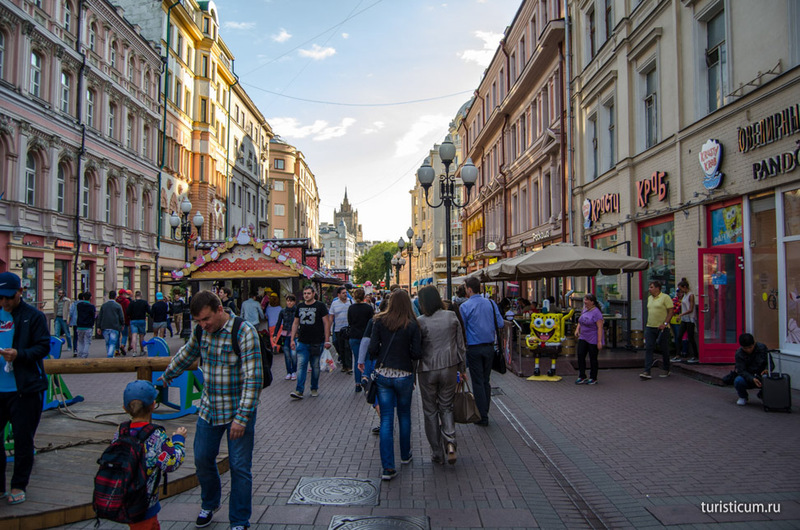 The Old Arbat is one of the few places in Russia where one can feel the special atmosphere of junk markets that used to be popular in the 90-s alongside with that of the merchants buildings of the 19th century and modern shops and restaurants. 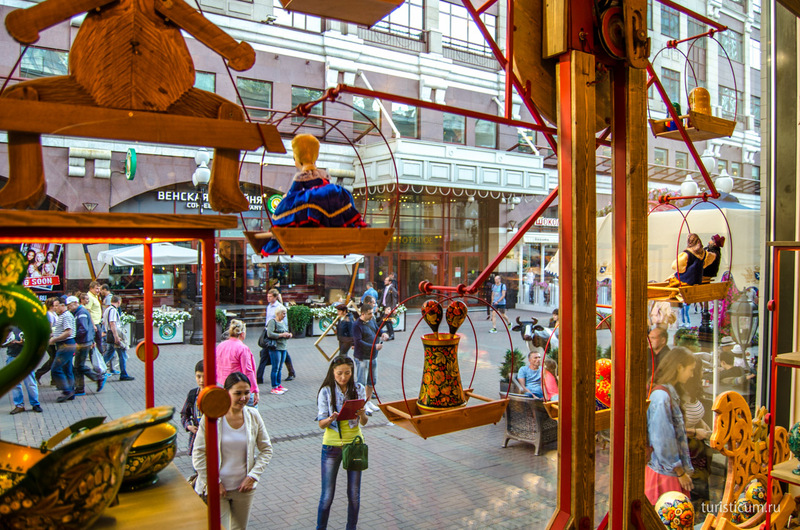 It is in the Arbat where a foreigner can buy anything that is in his or her opinion is the symbol of Russia. 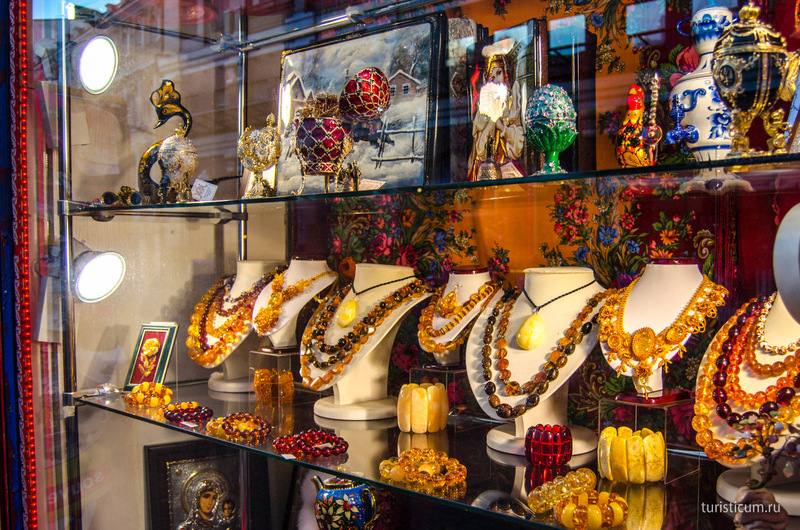 So the Arbat offers winter fur caps, matryoshkas (Russian nesting dolls), flags, and amber, jeweled eggs of Faberge, souvenirs with the Kremlin, the Moskva (Moscow) River, and Saint Basil’s Cathedral and so on and so forth. 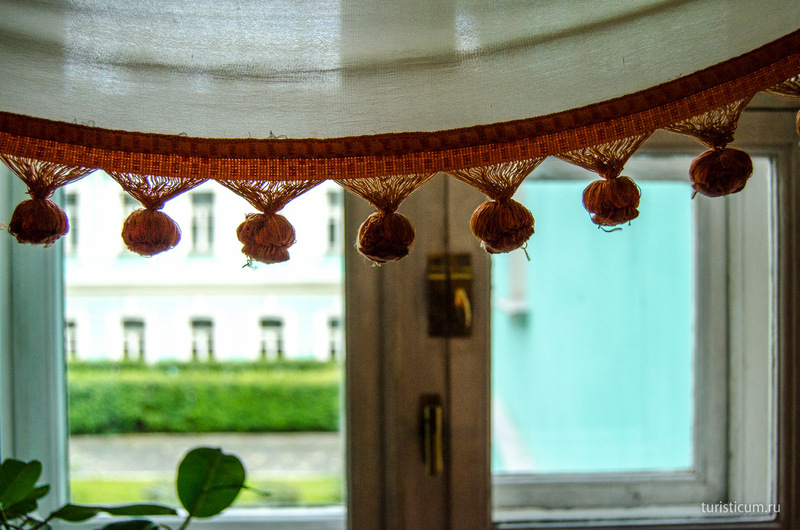 Apart from all of these things the Arbat can at the same time show its absolutely different nature, but this is for those who want to appreciate the gist of things. 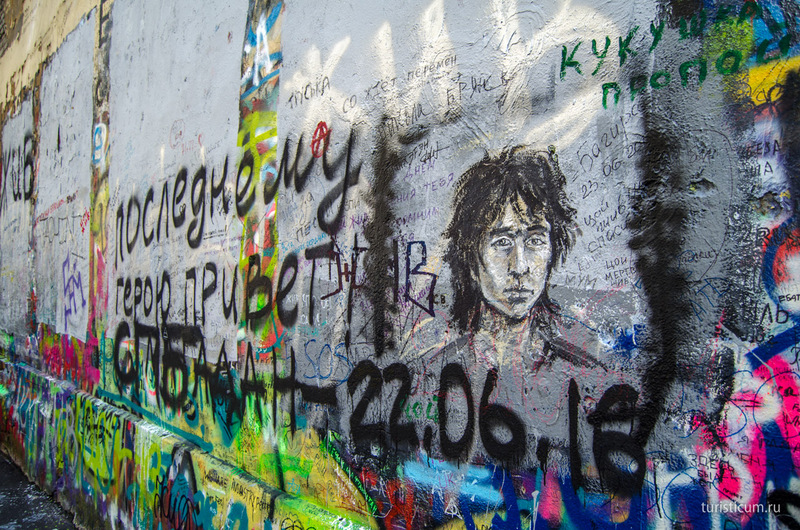 People wrote and sang a lot about the Arbat. This is the street where many famous people lived and many great writers walked. 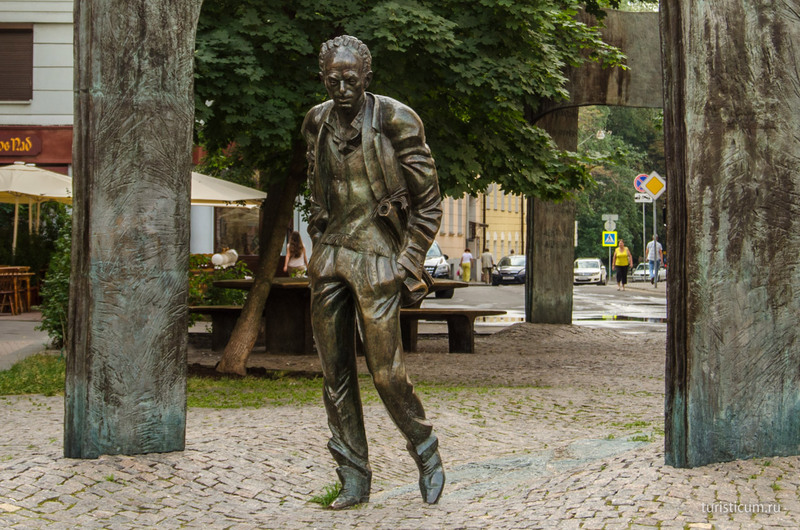 Mikhail Bulgakov for example liked to walk along the Arbat. 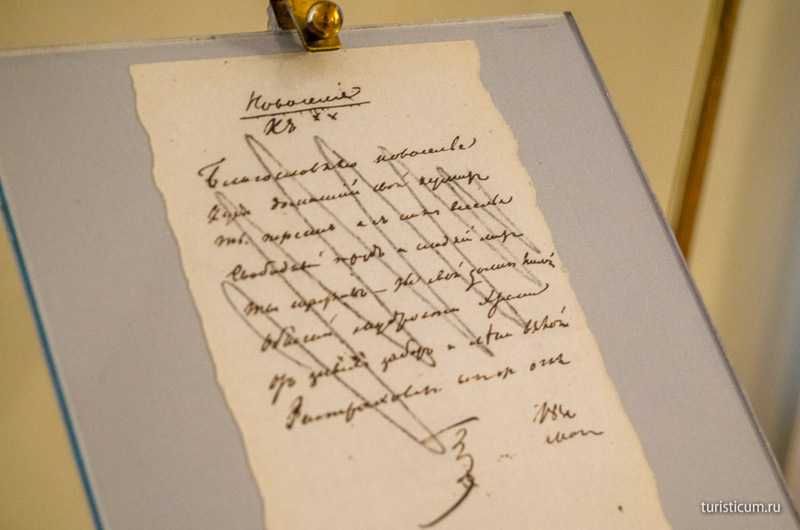 He even used that street as the scenery in his novel «The Master and Margarita». There is the famous restaurant Prague in the very beginning of the street. 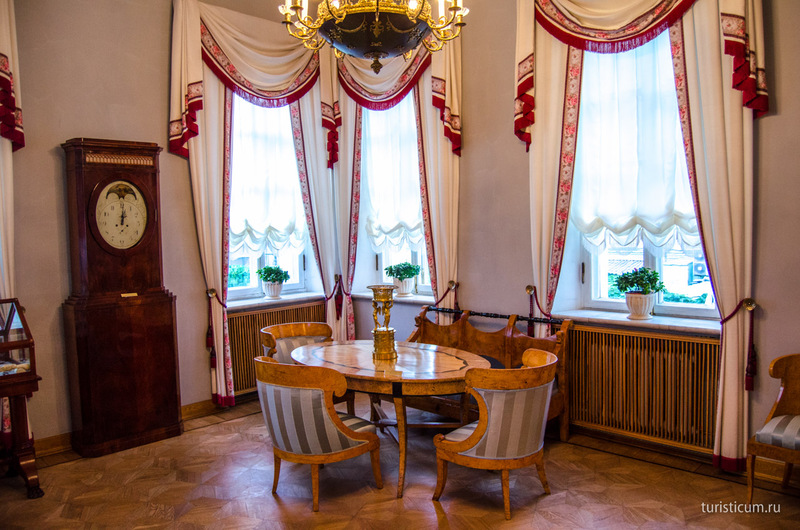 This is the place where the so beloved by all Russians cake called «Ptichye Moloko» (pigeon milk) was invented. In fact «Ptichye Moloko» was the first culinary product to obtain a patent in the USSR. There is a confectionary on the ground floor of the restaurant today. Everyone can taste the legendary cake there. One can never leave the Old Arbat being hungry. Here is a wide range of snack bars, cafes, fast food restaurants, canteens, bars and traditional restaurants. Such a competition makes them constantly improve the quality of food and service. They also use bright facades to attract tourists. 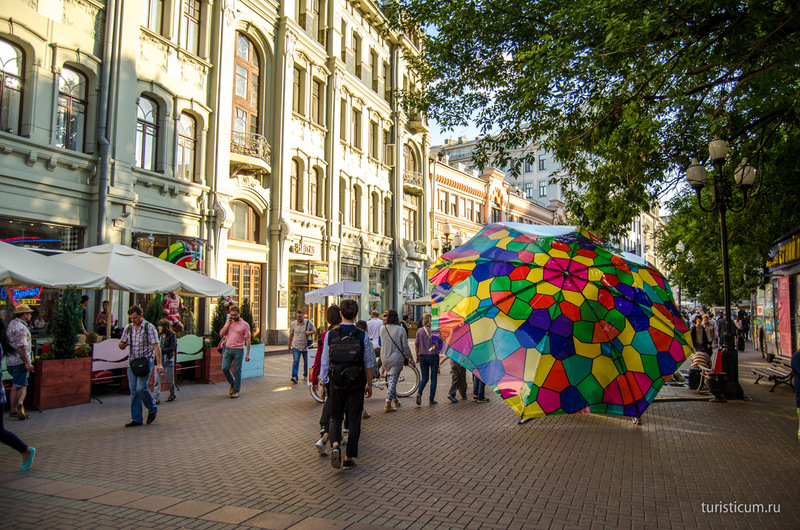 Still the main and most famous attraction of the Arbat is the street artists. They give the street the long forgotten flair of the 90-s, the flair of freedom and Coke. 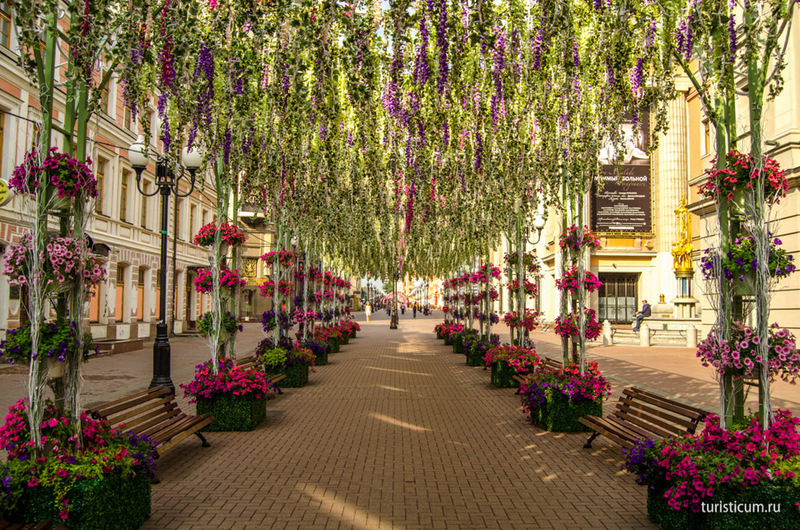 The Arbat has received a new better look within the last years. Apart from being the most famous street in the country it also received a proper decoration. Besides it is now possible not only to walk along it, but also to sit and rest. 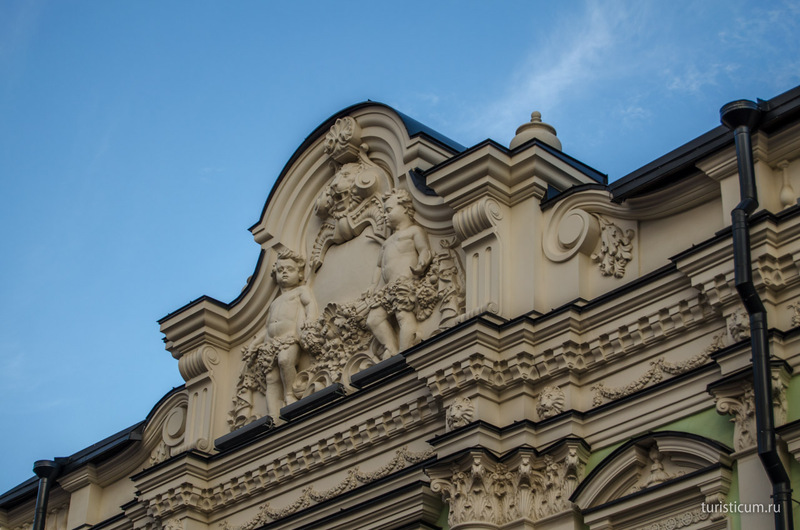 There is no exaggeration in saying that each building in the Arbat bears the impress of history or its owners. 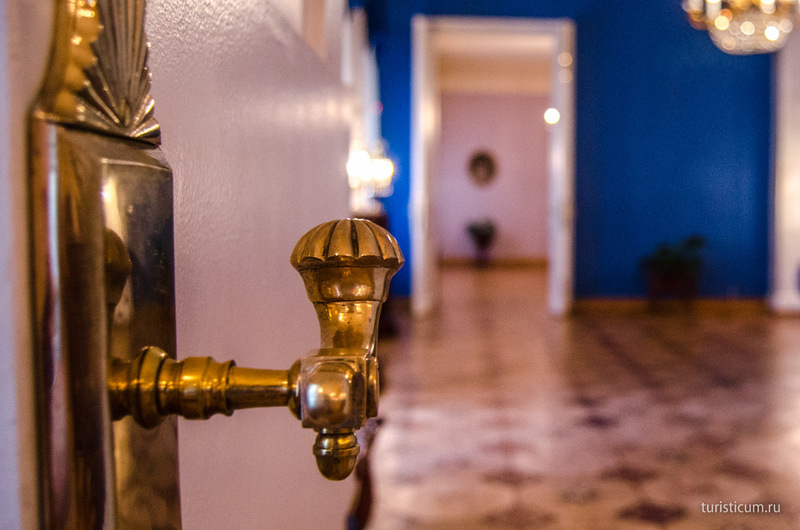 This is the hotel by A. Echkin that exists since 1904. The next building is the house of Association of Russian Doctors. 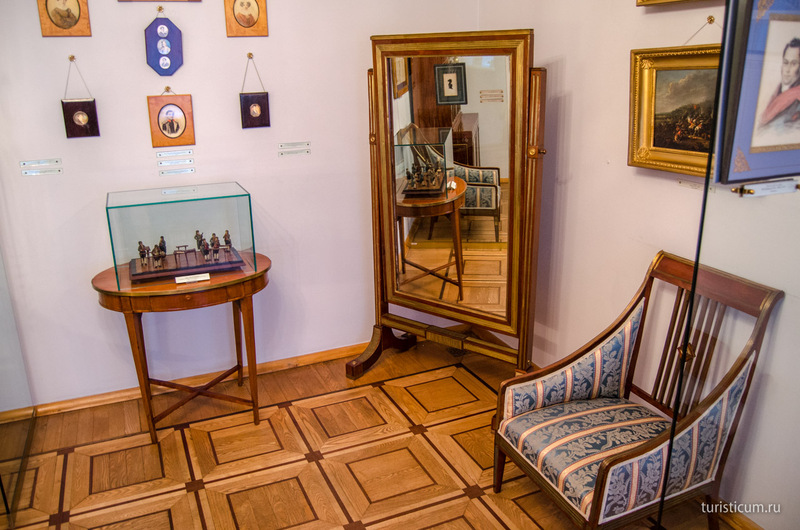 The hero of the war with Napoleon in 1812 Denis Davydov used to live here for some time. 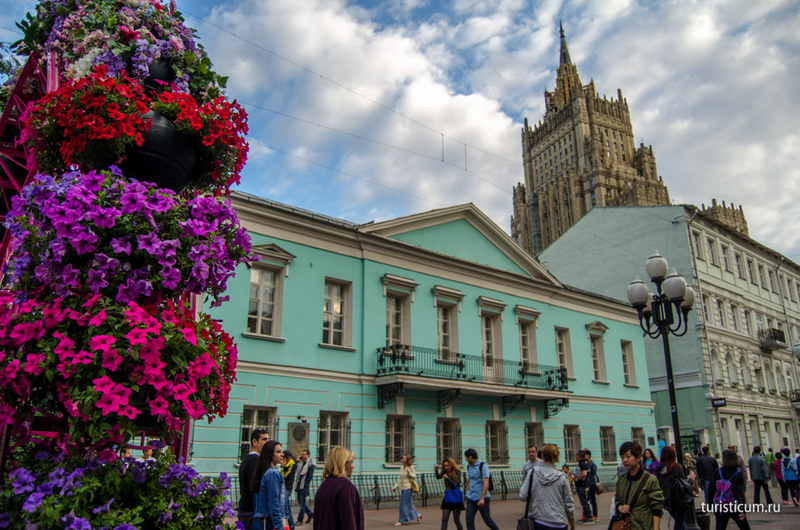 Our walking rout passes by the most famous building in the Old Arbat. 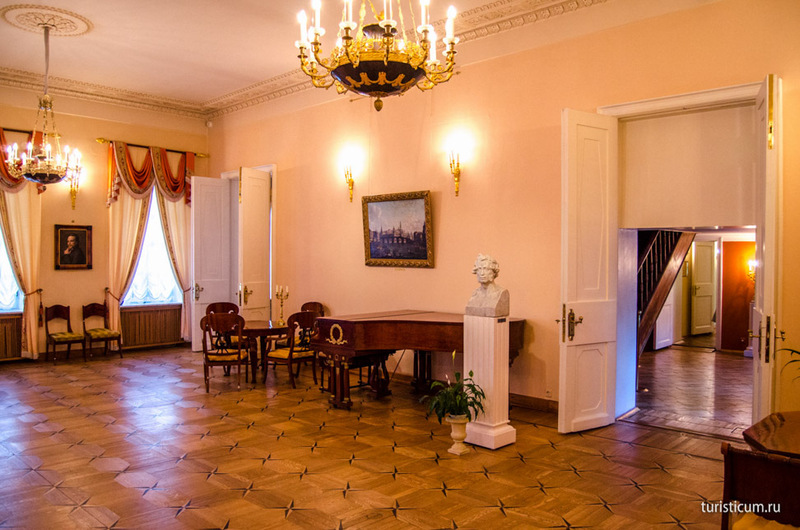 This is the so called «house with knights». 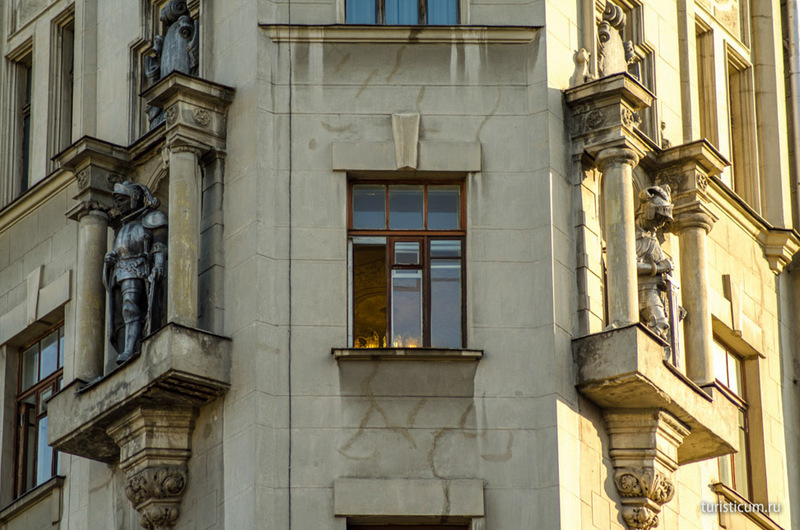 It was built in 1914 and in those times it looked like a real sky-scraper and offered apartments for the richest residents. 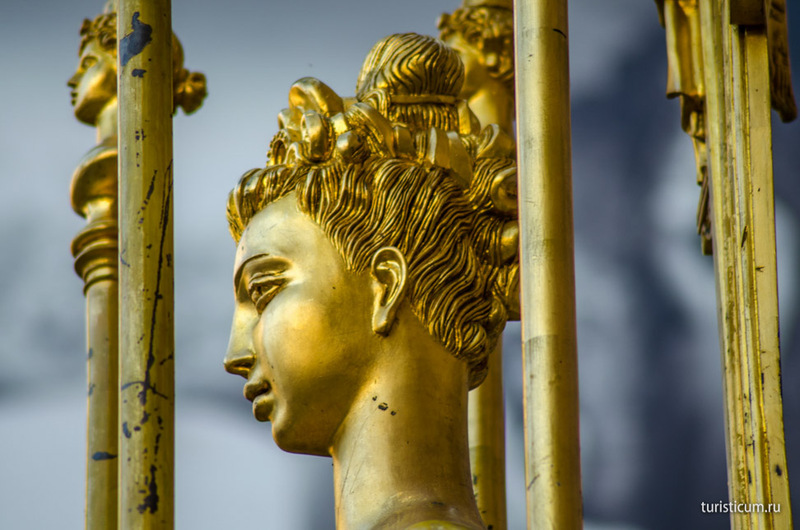 There is a memorial-fountain to Princess Turandot right in front of the «house with knights». This memorial decorates the entrance to the Eugenie Vahktangov State Academic Theatre. 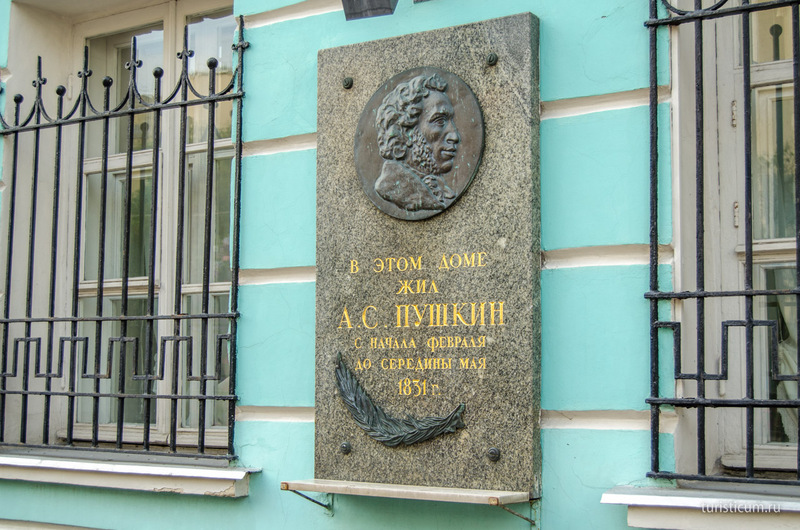 There is a memorial to Bulat Okudzhava on the cross of the Arbat and Plotnikov Lane. He was a great soviet poet. 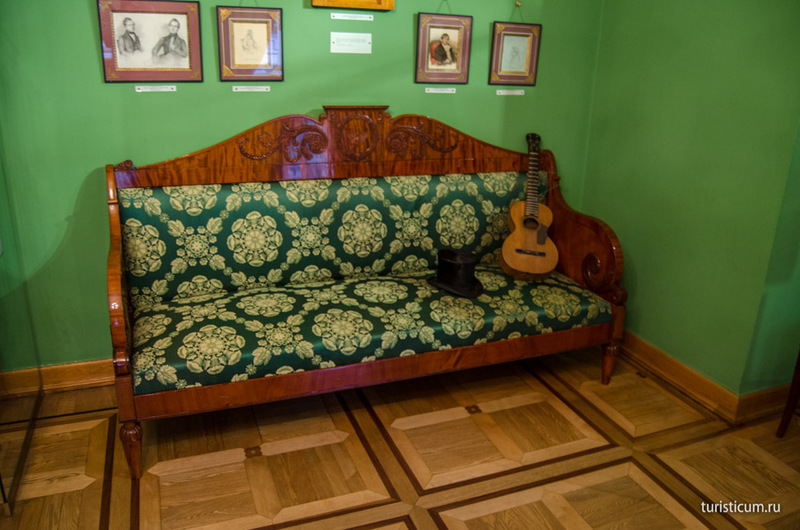 Bulat Okudzhava was born in Moscow and devoted a lot of his songs to Moscow and the Arbat in particular. 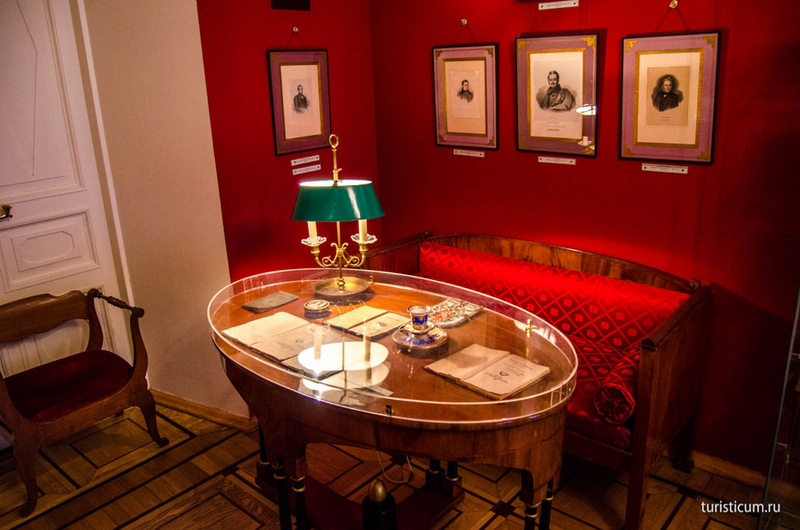 We came to the house of the great Russian poet Alexander Pushkin by the end of our excursion along the Old Arbat, since it is situated at the very end of the street. It is hard to miss the house – there is a memorial tablet on it. 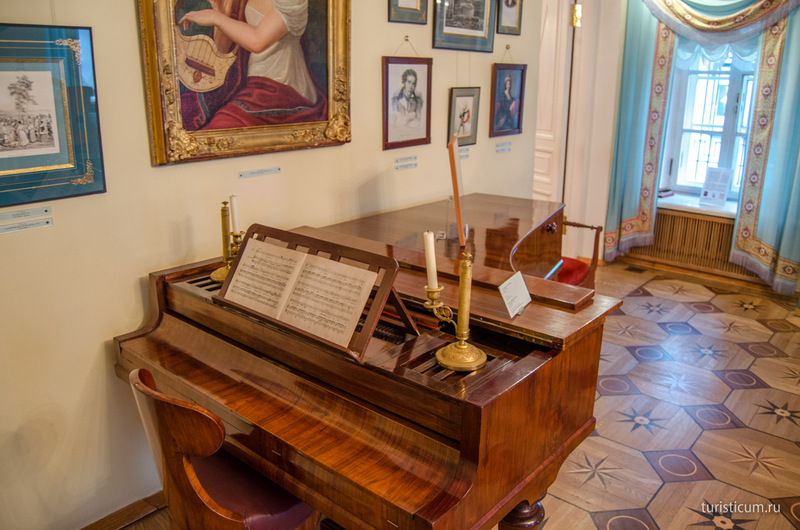 Besides there is a memorial to the poet and his wife Natalia Goncharova right in front of the house. The memorial shows the couple with a reason since this the house where the newlyweds spend the first few months after the wedding. 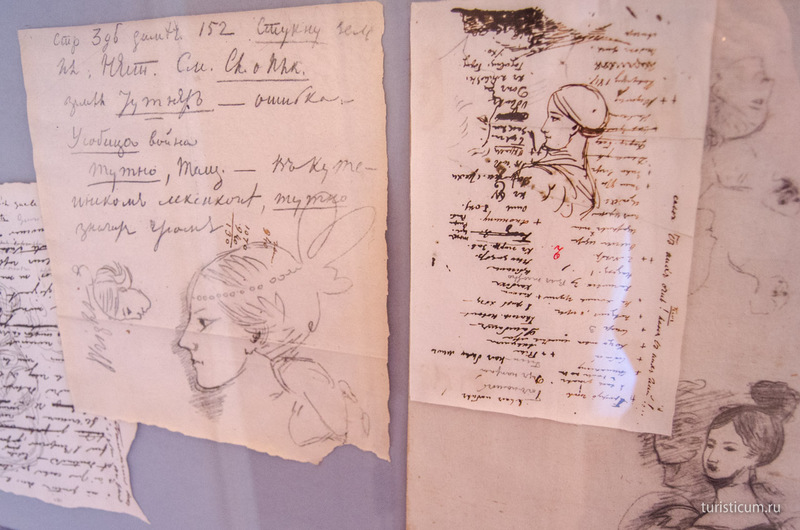 Right until the poet broke up with his mother-in-law who interfered into their affairs. After that the couple left for Saint-Petersburg. The building behind the Pushkin house is one of the Stalin’s high-rises. 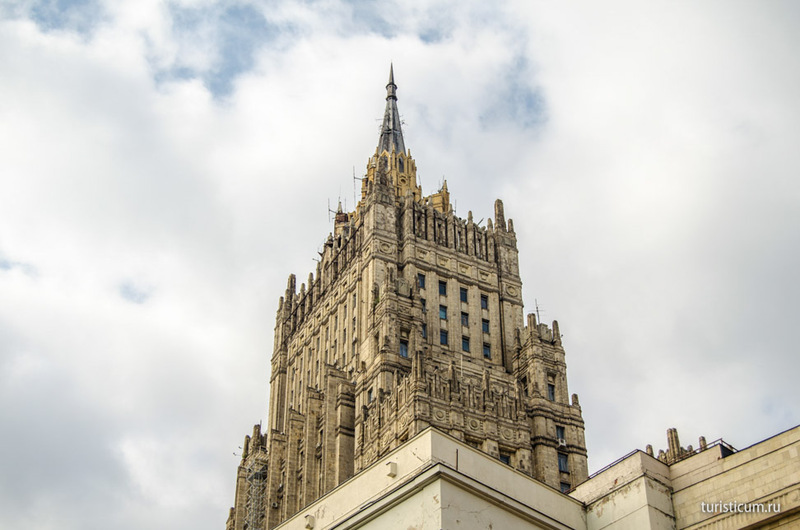 It is the Ministry of Foreign Affairs of the Russian Federation. 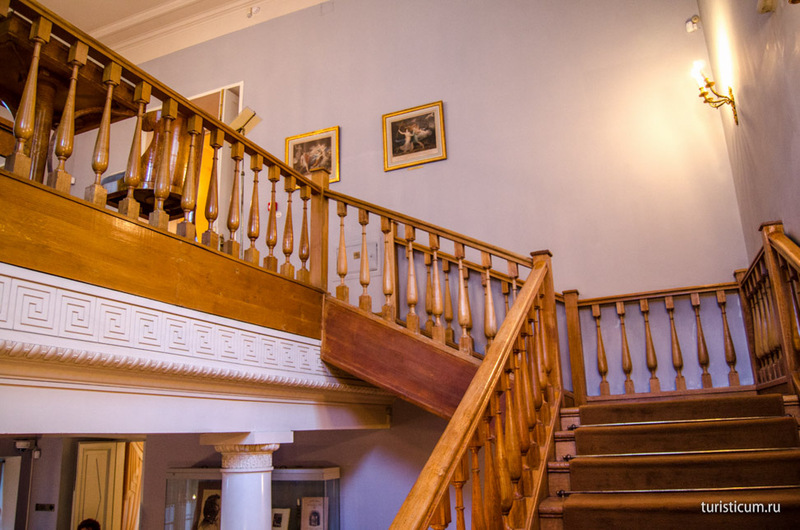 The house itself is of two floors. 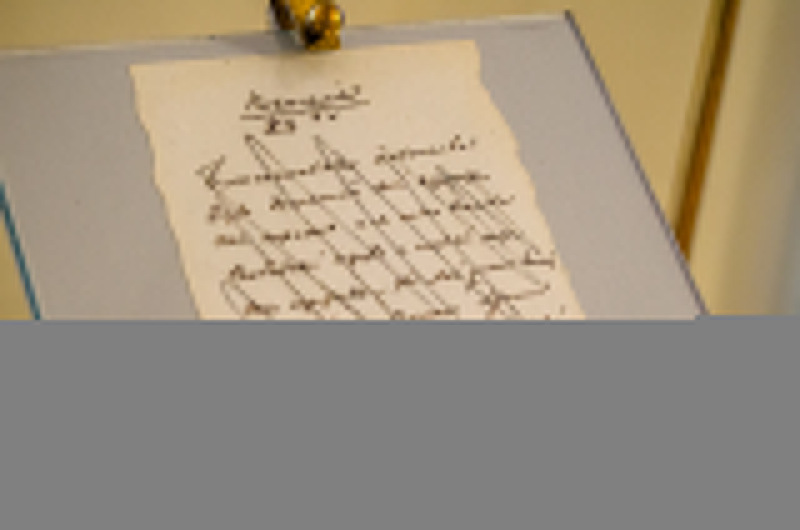 The museum displays things that belonged to the poet and his close relations alongside with some copies, drafts and letters. 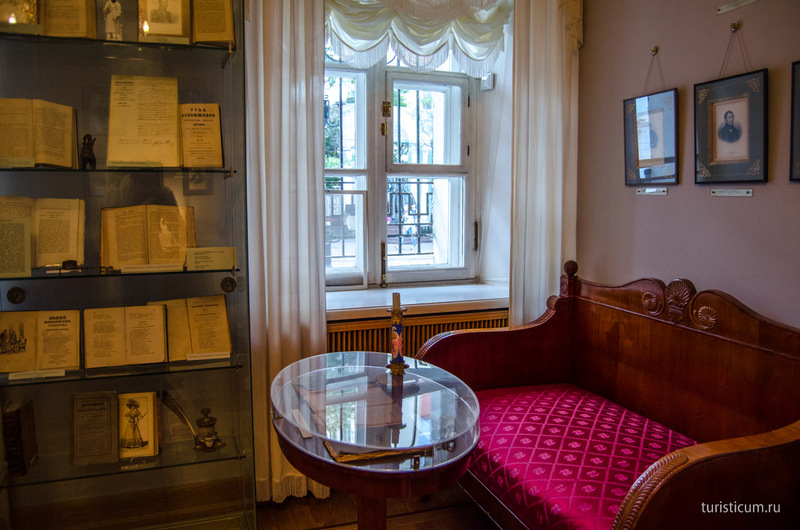 It is always interesting to visit a place where a famous person lived and the memory of whom will live forever. Although he it did not spend too much time here. 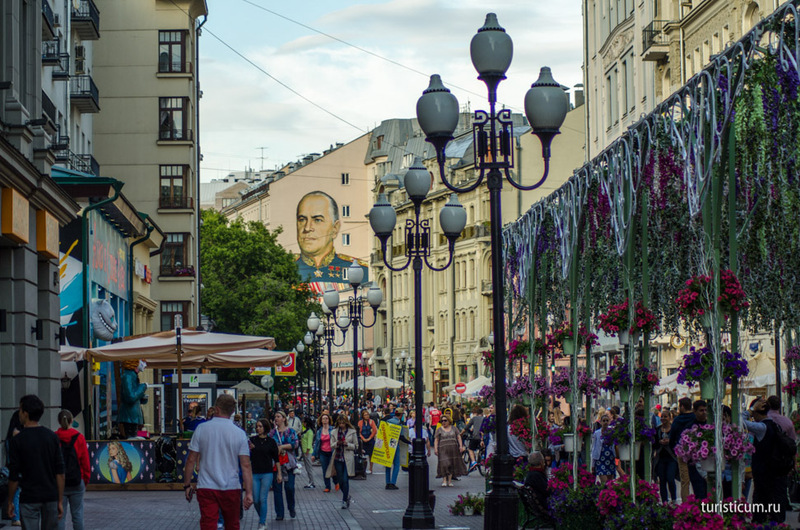 The Arbat attracts hundreds of visitors every day. 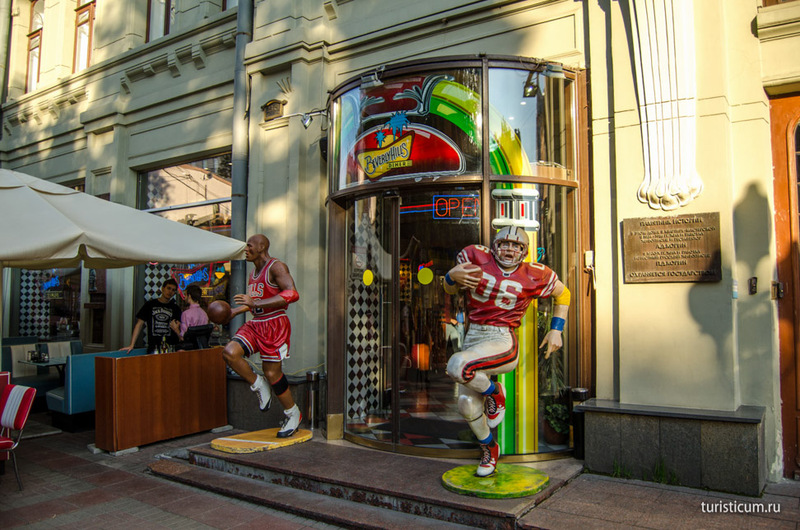 The street is so famous that it is included into top-5 must-sees for both Russian and foreign tourists. This street is only deserted in early morning at about 8 a.m. when all the citizens wake up and hurry to work. This is the time when the Arbat is not a pedestrian street yet, but an ordinary rout from somebody’s home to somebody’s work. But the street turns into the residence of street art, souvenir shops and restaurants at the midday.